More than just a humble printed piece of paper. 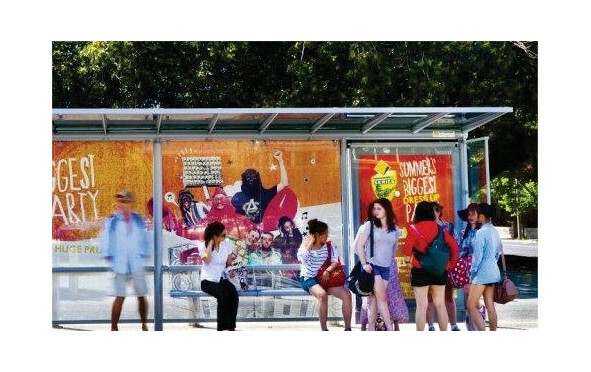 Adshel Outdoor Posters, used for advertising banners, signage and billboard advertising are still core to most Adshel Poster campaigns and is one of the most impactful uses of out-of-home advertising. Being one of the oldest forms of advertising, it is proof of the adage "an oldie but a goodie"
It is one of the most popular methods of outdoor advertising, especially among big companies. You can make an impact in the subconscious mind of the pedestrians, drivers, and passengers, everyone who uses the road where your Billboard Poster is located. You instantly connect with your prospective customers. People easily register photographic data and short phrases (slogans). One Adshel Poster and you have thousands of people who are now familiar with the product. It is the only outdoor audience measurement system endorsed by the Outdoor Media Association, the Media Federation of Australia and the Australian Association of National Advertisers.